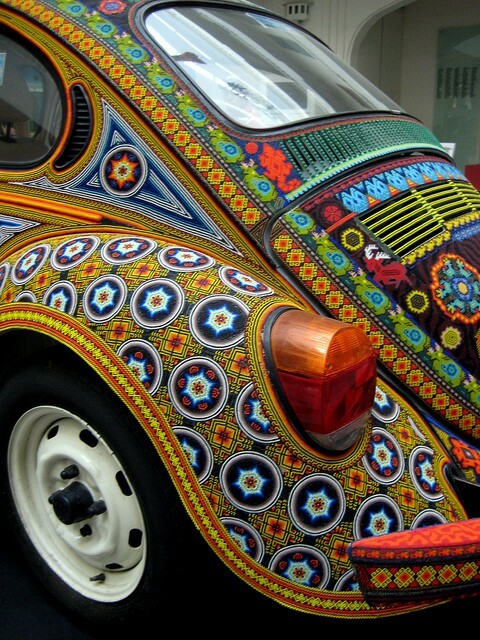 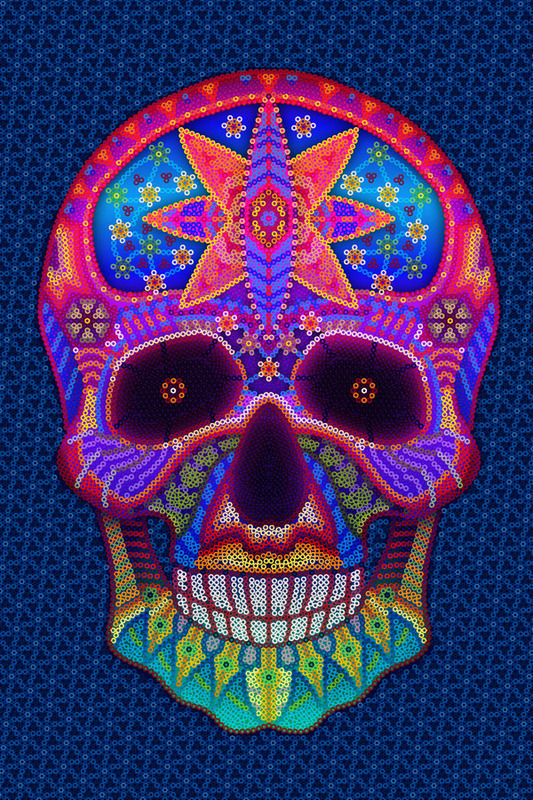 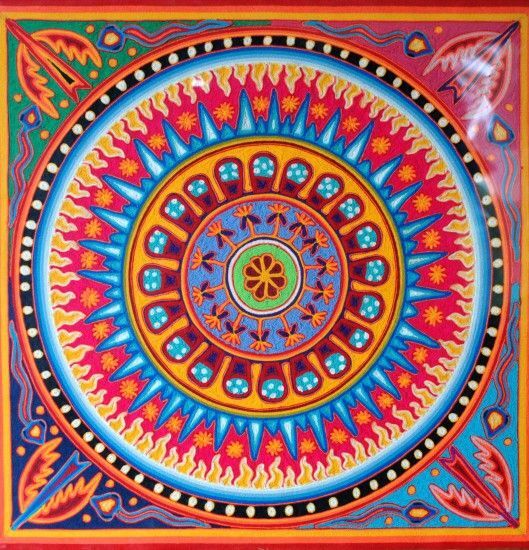 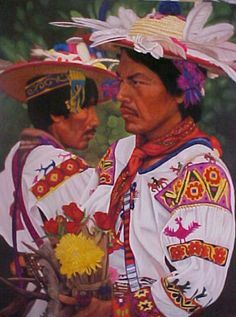 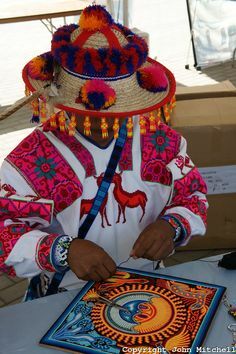 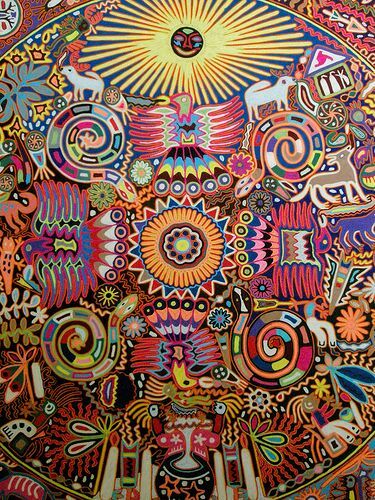 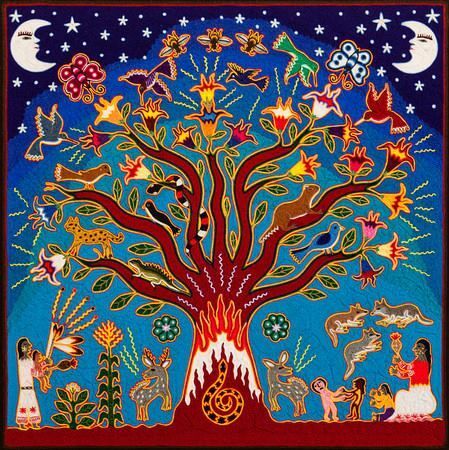 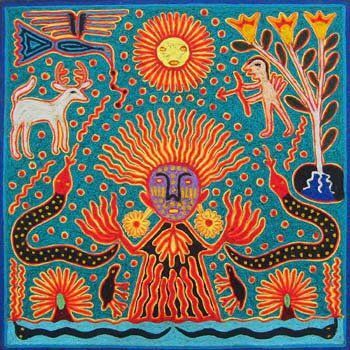 The Huichol indians of the sates of Jalisco, Durango and Nayarit in Mexico have been producing their brand of artwork for hundreds of years. 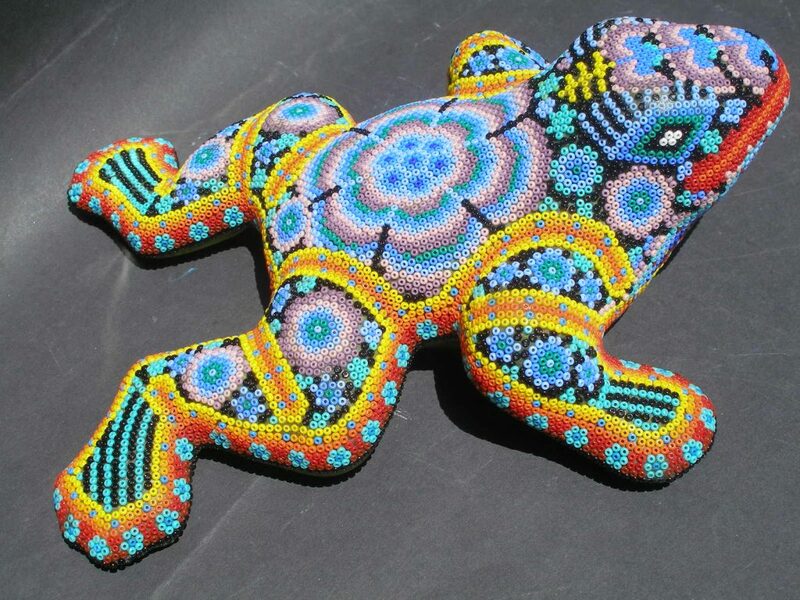 Their work is bright and vibrant, and they use yarn or beads which they press into wax or resin to create the images. 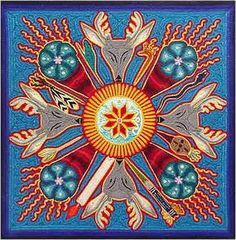 I have heard that they often work under the influence of peyote a powerful hallucinogenic brew, but that may be an urban myth. 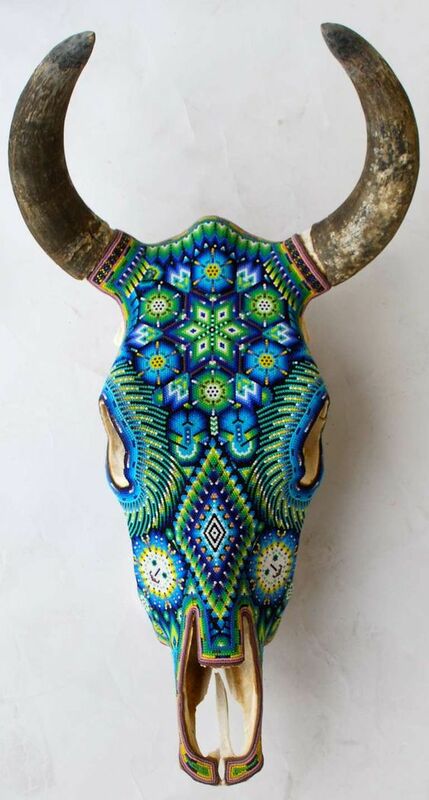 Whether they do or don’t what they produce is fascinating. 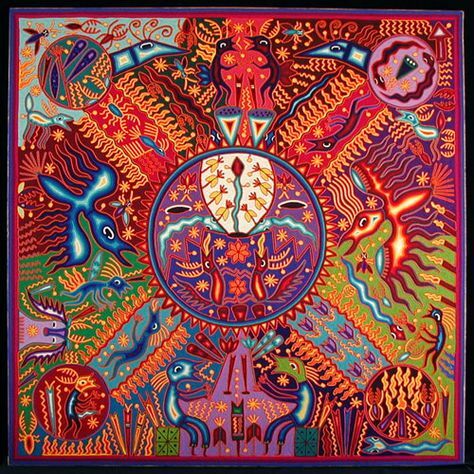 A bit like fire or the sea, I never tire of looking at their work, I always see new things in the images and the colours.